Path planning is a challenging and critical issue in robotics, which involves computing a collision-free path between initial and target. The formation control ensures the robots’ collaborative working. To address these two problems, an efficient virtual spring method for multi-robot path planning and formation control is proposed, and the interaction dynamic model is established to describe both logical and physical topology of the network. Based on the network model, the virtual spring method control law is designed, and aiming at the non-reachable and local minima problems, the virtual target search method is proposed. The robots can calculate an optimal path to the target in the predefined formation based on the control law and the virtual target search method. 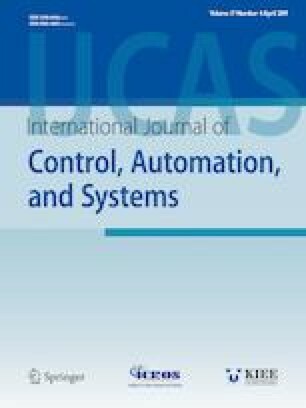 Finally, a series of simulation results confirm that the approaches proposed in this paper are feasible and efficient in the path planning and formation control for the multi-robot systems. Formation control multi-robot system path planning virtual spring. Recommended by Associate Editor Augie Widyotriatmo under the direction of Editor Myo Taeg Lim. This work is supported by International Graduate Exchange Program of Beijing Institute of Technology. This paper is funded by International Graduate Exchange Program of Beijing Institute of Technology. Di Wang received his M.E. degree from Beijing Union University in 2017. He is currently working toward a Ph.D. degree at multi-robot coordination, Beijing institute of technology. His current research interest includes machine vision and sensor-based robotics. Hongbin Deng received his Ph.D. degree from Beijing Institute of Technology in 2003. He has been with the associate professor in School of Mechatronical Engineering of Beijing Institute of Technology in 2011. His current research interests include robotics, bionic robotics, mechatron-ical systems engineering. Kewei Li received his bachelor degree in Communication Engineering from the Sichuan University in 2010, and then received his M.S. degree in Software Engineering from BIT in 2013. He is currently working toward a Ph.D. degree at Coaxial dual rotor technique, Beijing institute of technology. His current research interest is advanced control research and engineering.